The specialty feed additives market is projected to reach a value of USD 11.12 billion by 2022 growing at a CAGR of 5.43% from 2016. The market is driven by factors such as increase in consumption of animal products, increase in incidences of disease outbreaks in livestock, adverse impact on the environment due to the emission of greenhouse gasses by the livestock, and innovations in animal husbandry. The major restraints of the specialty feed additives market include rise in operational & raw material costs and inconsistency in the regulatory structure. The addition of flavors & sweeteners help in increasing the palatability of the feed, which in turn leads to high feed intake by livestock animals and results in their better performance. Thus, palatability enhancers are gaining a substantial position in the specialty feed additives market. The liquid form is preferred for specialty feed additives due to its ease of handling & mixing with the animal feed. Liquid additives serve as excellent carriers for feed and are nutrient-rich; they are also convenient and cost-effective as compared to the dry form. They make the feed highly palatable and increase their consumption among animals, which help in reducing feed wastage and labor requirements. The demand for specialty feed additives is driven by the increase in consumption of meat and other animal products, owing to increasing percapita income of the consumers in the emerging countries such as Indiaof the Asia-Pacific region. The demand for specialty feed additives in this region is driven by the growth in population, rise in disposable incomes, progressive urbanization, and an increase in the demand for quality meat products. This report categorizes the global market for specialty feed additives on the basis of type, function, livestock, form, and region. 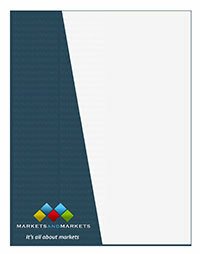 In terms of insights, this research report has focused on industry analyses and company profiles, which together comprise and discuss the basic views on the competitive landscape; emerging & high-growth segments of the global specialty feed additives market; high-growth regions, countries, and their respective regulatory policies; government initiatives; and drivers, restraints, and opportunities.